MV Agusta is gasping for more fresh air, and that might come from an agreement with Mercedes AMG that would create floorspace in every Mercedes AMG dealership for MV Agusta motorcycles. These will be prestigious “showrooms” within the 127 AMG dealerships around the world, and represent a commitment to closer ties between MV and AMG in terms of marketing coordination. But there is a catch: The AMG dealerships will not actually sell MV Agusta bikes, but will only put them on display under AMG’s spotlight. The whole program started at the Frankfurt Auto Show last September, when Mercedes AMG hosted the special AMG edition of the MV Agusta F3 800, now dubbed Solar Beam, on its stand. The bike was met with critical acclaim and will eventually become a production model. The bike will be powered by the same hot-rodded 148-horsepower version of the 800cc triple. MV Agusta’s partnership with AMG is very different than Ducati’s with Audi. Ducati is a division of the Audi Group and is completely financially dependent on its parent company. While AMG currently only owns a 25-percent stake in MV. 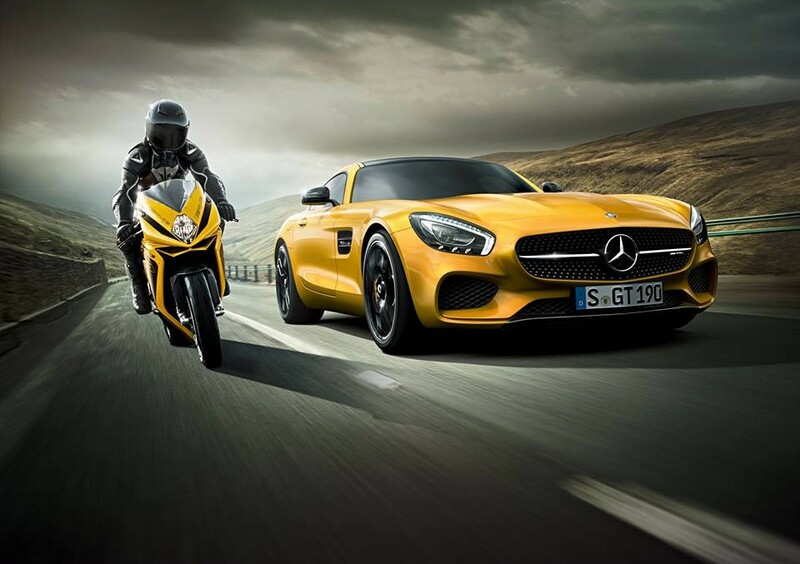 But AMG’s marketing partnership represents an equally substantial benefit to MV.